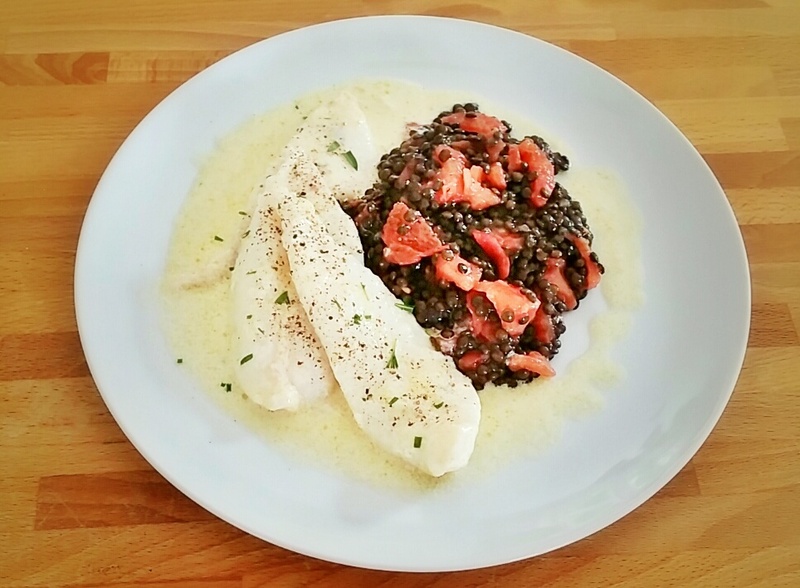 A Normandy Kitchen: John Dory and black lentils with a cider cream sauce. Wow, this looks amazing! Me and my family love lentils. I'll try this, be sure. We all missed you and your delightful recipes. I had a breack down too (family disease). And Aston? My princess has 1 year now and she's even more adorable. Greetings to you, Mark and Aston. Hi Ivan! This looks wonderful and since we LOVE lentil dishes and fish, this will made soon. Thanks for taking the time to share this! Sounds like you are enjoying yourself and in 'your element'! Never heard of John Dory - I just looked it up. You taught me something new! Thanks. Looks delicious, as usual. Glad you're back at it... blogging that is. 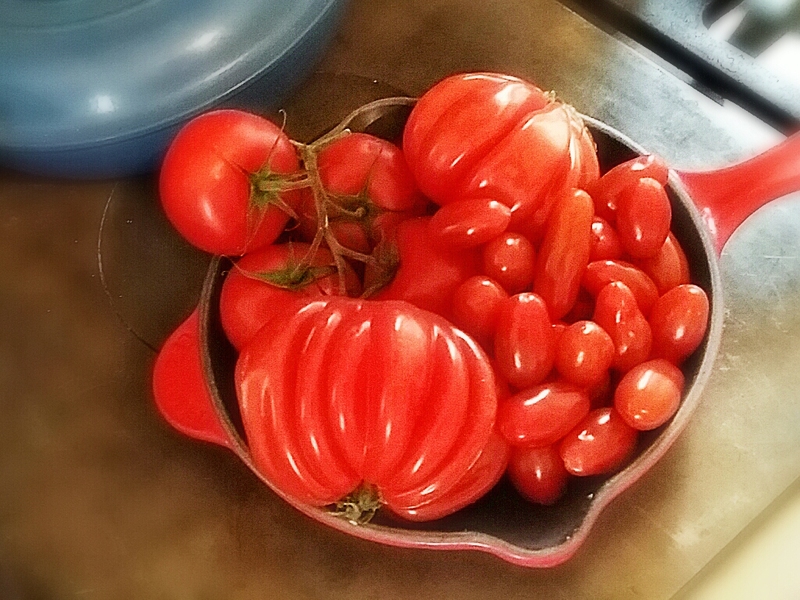 It's fun to draw inspiration from others' culinary adventures! Sounds lovely, have a great weekend. We adore all fish and very much appreciate lentils too so are certain that this would be a dish we should enjoy. Your house guests are most fortunate. In exchange for delicious lunches and dinners, could you not set them to work on the ironing?!! Hi Ivan! I haven't made lentils a lot, but I'm going to try them with your recipe. I know they are supposed to be very healthy. And I enjoy poached fish, but I've never used cider. So I'm going to try that too. It's so good to see you back. Enjoy your lucky guests! We enjoy lentils and have eaten our share of them ~ lately lentil burgers a la anything puts a smile on our face. Thanks for the recipe, my friend!